A necessary transit space between floors, it is also the core of the house that brings interior styles and spaces together, and should be an enticing invitation to the upper levels. 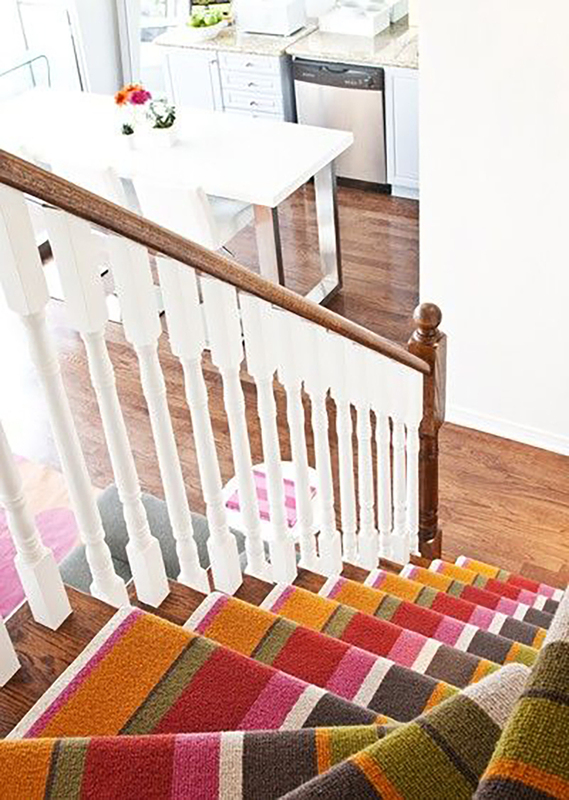 For me, the essential item that makes a statement of your stairs is the choice of carpet, and a unique and stylish finish will make a quirky and effective feature of them. 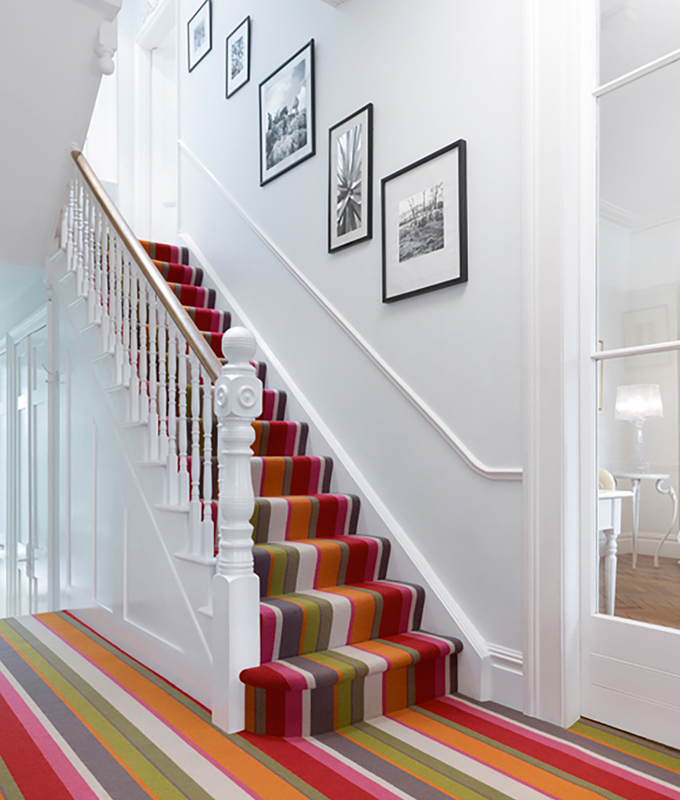 Here are my key style tips to make your stairs a stand-out, homely, welcoming feature. For a calm, earthy feel choose a rustic coir matting with a contrasting boarder. Stay within a natural-toned colour palette and you create warmth and texture that is simple yet effective. Elevate this look with the addition of pattern. Stay with neutral, black or grey tones in natural weaves, but look for a geometric or striped pattern to add texture. The look is classy, yet comfortable, and makes a very elegant feature at the core of the home. For maximum impact go bold with colour, but be careful not to overdo it. If you’re being bold with the carpet, then balance the rest of the space with simple neutral colours — greys and whites work particularly well and the result is striking and stylish.